These guides are designed to help with that. Each one focuses on a character class, discusses each of their skills, and gives you a general build or two to try out. The Crusader is one of the two classes you begin the game with, and it's a mighty strong one too. As his appearance may suggest, the Crusader is primarily a tanking and damage dealing type of unit, boasting high hit points and a strong damage rating. All of that however, comes at the cost of a mediocre dodge and fairly underwhelming speed. In many encounters, depending on your party set up, the Crusader is likely to be attacking last, meaning he needs to be capable of weathering blows and making his turns count. Fortunately, he comes equipped with a variety of skills, from standard attacks through to defensive and utility based abilities. He has the ability to stun using Stunning Blow as well as heal with Battle Heal. This is on top of some strong attacking options in Smite and Holy Lance, giving the Crusader plenty of options in a variety of encounters, not to mention a particular bonus in the Ruins, where many of his attacks provide a bonus against unholy opponents. Smite is the standard attack for the Crusader, and, as is usually the case for the game's close combat units, it receives a bonus in addition to having no negative damage modifier. The bonus here is the aforementioned damage increase against unholy units, making the Crusader a prime candidate for any quests inside the Ruins. It's forth noting that upgrading the skill boosts Smite's accuracy AND unholy damage bonus, making it a prime skill to level up early on. Zealous Accusation is a multi-hitting close combat skills, perfect for softening up multiple weak enemies on the front lines. It's damage modifier is significant (-40%) meaning you should always determine whether or not it's more efficient to simply attack one enemy with Smite, and potentially kill it, or hit two with Zealous Accusation and make it easier for the other members of your party to clear up. 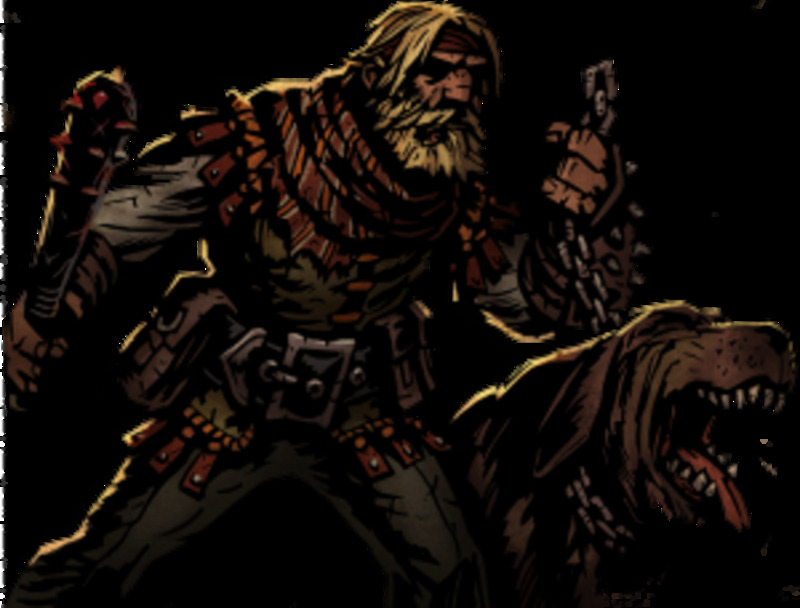 Stunning attacks are an important strategic element in Darkest Dungeon. On the whole, the game rewards aggressive play and strategies that focus on dismantling the enemy as quickly as possible. There's simply too many things that can go wrong if the enemy is allowed to keep pummelling your party unopposed. It's because of this that stunning attacks are so good, they do minor damage (some of them, at least) whilst also preventing the enemy from attacking back. As with many of the Crusader's abilities, the only downside to Stunning Blow is that the unit needs to be upfront and can only hit the first two ranks. Still, it's an important ability and one that you'll certainly want to level up early to increase the odds of stunning the enemy. A support buff that gives the Crusader a level of Protection; reducing the damage he receives. In addition, the skill also marks him, effectively “drawing aggro” towards the character and off of your more vulnerable units in the back ranks. Bulwark of Faith is the kind of ability that largely ends up being a trap in this game. In theory, it does exactly what the Crusader would want to do: make himself tougher and absorb hits. In reality, however, it simply robs you of a turn you could be hitting the enemy. 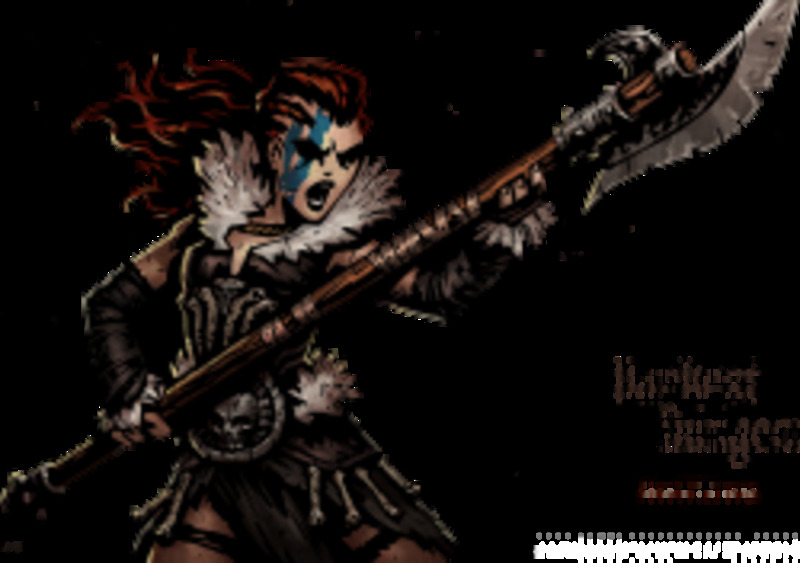 Like I said earlier, offence is the best defence in Darkest Dungeon, and killing an enemy a turn earlier will do more for your survivability than Bulwark of Faith ever could. A minor to moderate heal skill, Battle Heal highlights the support aspect of the Crusader class. Make no mistake, taking Battle Heal won't replace a dedicated healer. 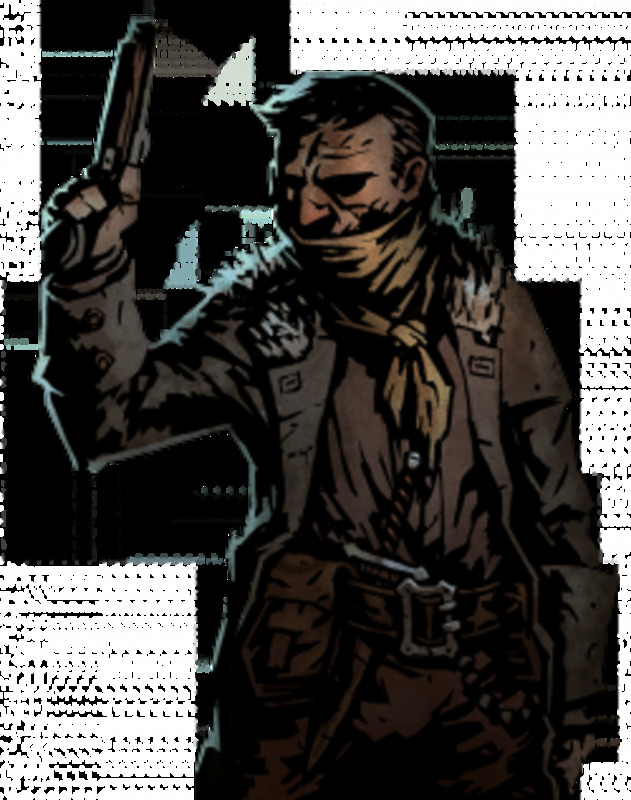 It comes nowhere close to providing the same level of support that a Vestal or Occultist, or even Arbalest, are capable of providing. That being said, it does provide the Crusader with another option should he ever find himself unable to attack anything. 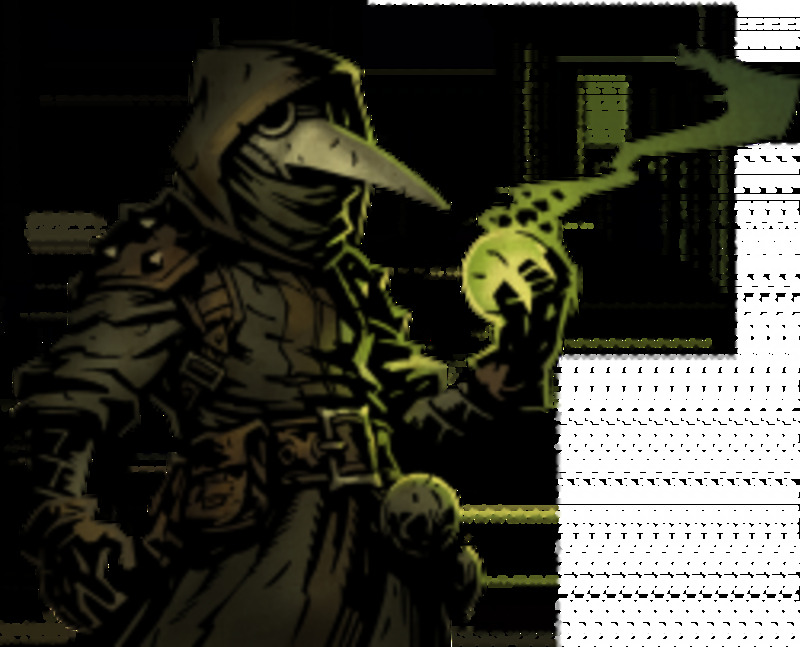 Having versatility is a huge boon in Darkest Dungeon and so a healing skill like this should never be completely ignored. 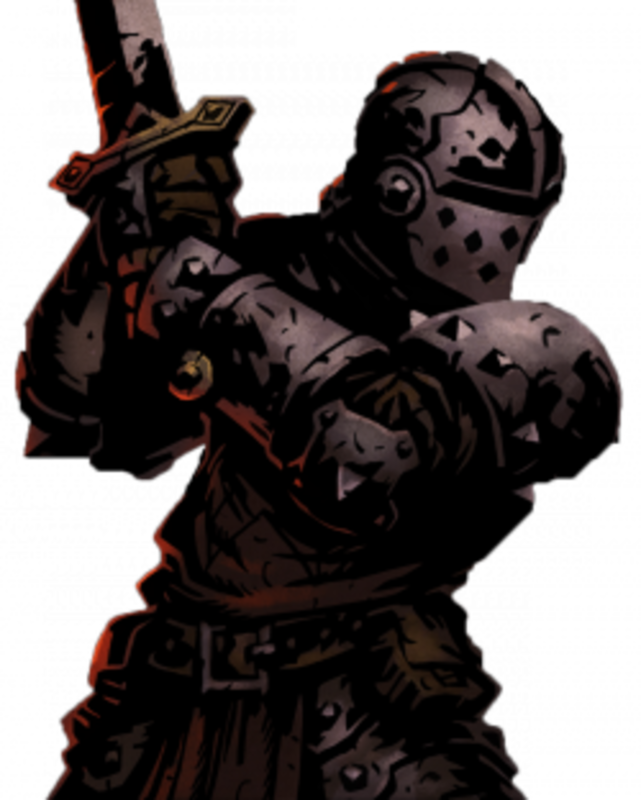 Earlier in Darkest Dungeon's development, Holy Lance was capable of being used in the 2nd rank once it had been upgraded. This lead to the strategy of having two Crusaders in the 1st and 2nd ranks repeatedly using Holy Lance to attack the back ranks of the enemy party. Needless to say, it was a bit too good and so now requires the Crusader to be always be in one of the back two ranks in order to use it. Still, it's an important ability for the Crusader, moving him forward one rank whilst still attacking. 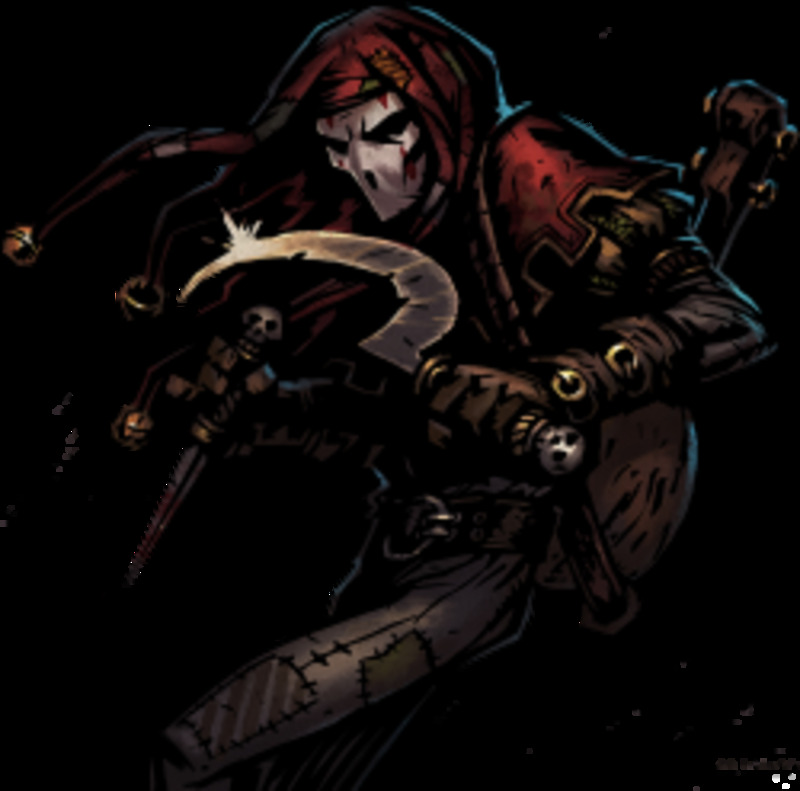 Movement is such an important element in Darkest Dungeon that it shouldn't be overlooked, and so, whilst it won't always be a skill the Crusader can rely on (he's usually going to be up front) it's one that you'll likely want. It enables him to push back to the front when he's either surprised or pushed back by an enemy move whilst still maintaining offence. Oh dear, this move does a bit of everything. It heals (sort of), reduces stress (sort of) and boosts your torch gauge (a little bit). By doing a bit of everything Inspiring Cry manages to do nothing. There's better stress reducing skills out there, and the Crusader already has a stronger healing skill with Battle Heal. If there's one skill you always want to avoid with this class it's this one. With this skill set you have a melee fighter that's capable of taking on just about anything. Smite and Zealous Accusation mop up the front ranks whilst Stunning Blow is there for the bigger enemies that won't go down as quickly. Bog them down for a turn or two and have your party whittle away at them whilst they'll (hopefully) be unable to attack back. Holy Lance meanwhile, is your “get out of jail card” for whenever you find your Crusader pushed into the back ranks. This way he doesn't have to waste his turns simply moving forward into his optimum space, and instead can move forward whilst still attacking. It might seem odd to swap Zealous Accusation for Battle Heal when it's Holy Lance that is the most situational skill. However, Zealous Accusation has the most overlap (Smite will do almost as well in most cases) making it the best skill change should you want the extra healing skill for a more challenging dungeon. Overall, the Crusader is a fantastic class with a clear, concise role to play but also coming with just enough utility that he isn't single-minded. Set him up with a fellow combat unit and a healer and you'll already have one hell of a strong party for taking on a variety of enemies.